IBM Cloudant is a fully managed JSON document store for progressive web and mobile applications that maintain data access and availability at extreme scale. 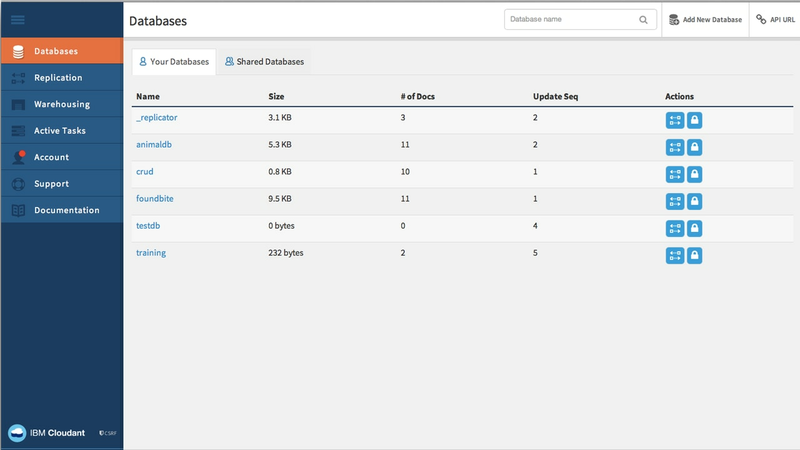 Watch a quick how-to overview on how to get your first IBM Cloudant Data Layer set up. See how you can scale your supporting infrastructure to deliver highly customized content to individuals globally. See how IBM Cloudant is optimized for handling heavy workloads of concurrent reads and writes in the cloud. Explore, analyze and visualize application data without manual prep. Deliver great user experiences and performance, even during downtime. Bring mapping and advanced geospatial features to your application with ease. Find supported libraries for mobile (iOS and Android), Java, Node.js, Python, Swift, Apache Spark and more. Find Cloudant basics, client libraries, API reference, guides and more.